Lately, I’ve been reliving peaceful memories of small, hidden Gems in Maremma in southern Tuscany bordering Lazio. I had read about Capalbio years ago and had wanted to visit. But this is another town that is difficult to reach without a car. In February 2014, while my cousin Sonseeere Goldenberg and I were both searching for a place to lay our heads in Italy, we visited Capalbio. We drove up from Lazio along winding, forested roads when suddenly the view cleared and there it was, sitting on top of a hill, shining with light peaking through the clouds. To me, it looked like how Camelot must have appeared. The clouds accentuated the mysterious feel of it all. People have been living in this hilltop since the Bronze Age. The name itself is believed to be derived from the Latin Caput Album, or Bald Head. Life changed when Charlemagne gave Capalbio to a Roman Abbey. Later, around 1200 A.D., Capalbio became part of the Siena area and fortresses were built, including the Sienese entry gate with the bald-headed Lion. Crenellated walls protected the fortress as partially explained in the illustration below. This type of construction is typical of Medieval fortress construction and includes cut-outs at the top for defensive positions. Shown here along the walkway border of the fortress. And here, with the Fortress of Aldobrandeschi near the pinnacle of Capalbio. I returned to Capalbio in 2017 and fell in love with it even more. It was early springtime with trees and other plantings beginning to green up and open. I love those Pino Alberi, or Umbrella Trees. only a few feet from cacti. All the way to the sea and the sandy beaches of Maremma. Replete with laundry hanging or a more contemporary bench. may open to a gallery. 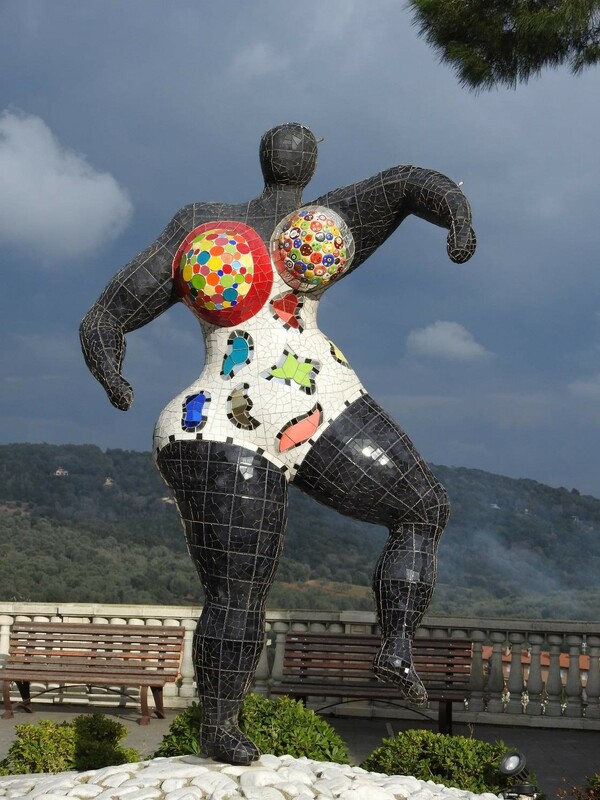 I must return in summertime to swim in the sea and to explore the artistry of the locals and other visiting talents like French artist Niki De Saint Phalle. Saint Phalle, using a similar style to Antoni Gaudi’s Park Guell, created the Tarot Card Garden which is outside the Capalbio city limits. This garden is a MUST when visiting Capalbio but is not open all year round so I was unable to see it. I did enjoy 1/3 of her well known Les Trois Graces before entering the Sienese entry gate. She feels like a contemporary female goddess. Who would like to join me in Capalbio? Perhaps we can do a week in Maremma next summer. I would love to plan it for you as I plan it for myself. 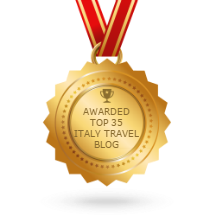 Contact me at Marilyn@TakeMeHomeItaly.com. Andiamo! Let’s go!